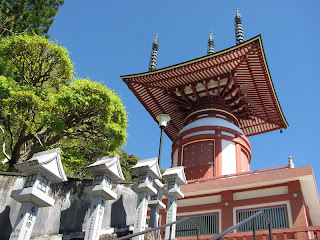 Today we traveled by vehicle to the town of Hiwasa where we visited Temple 23 (Yakuoji) with its striking red and white pagoda. 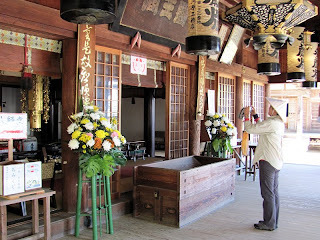 Henro Jane at the hondo (main hall) at Yakuoji Temple. 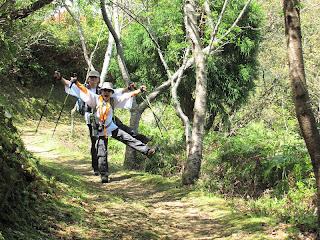 Ingrid and Chris on the a coastal section of the Shikoku no michi near Hiwasa town. 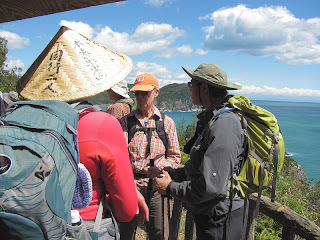 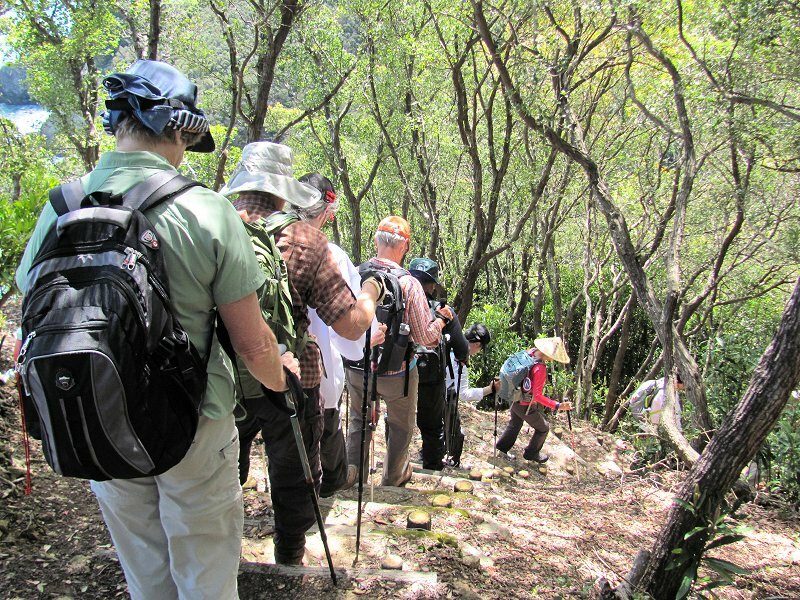 Stopping for a rest at a viewpoint on the coastal trail leading south from Hiwasa town. 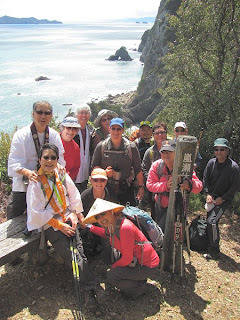 A crystal day on the coastal trail near Hiwasa town. 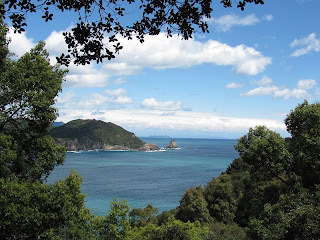 After yesterday's big rain, today was crisp and breezy...a pleasant change! 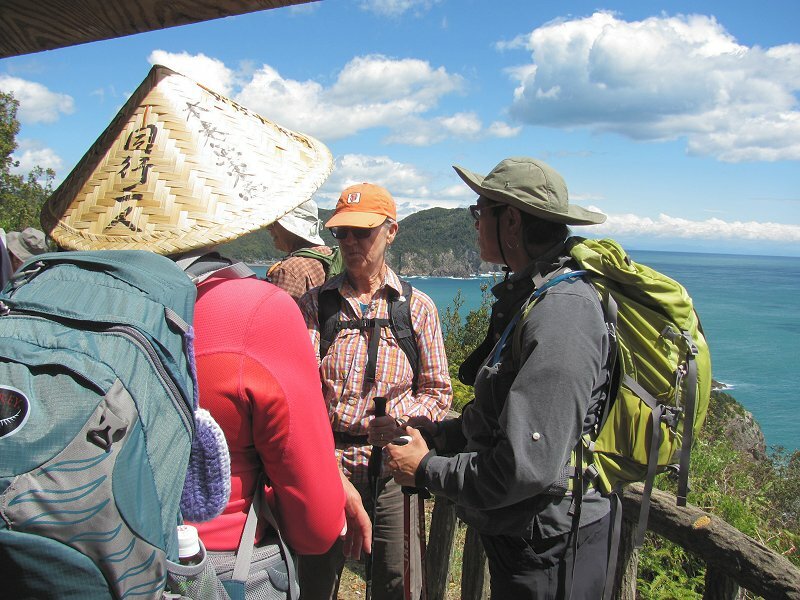 On the Shikoku no michi. 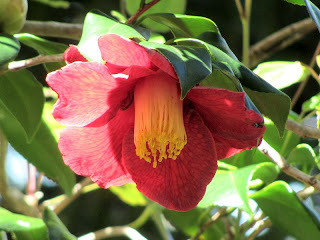 Camellias were blooming along the path. 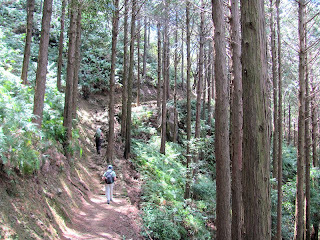 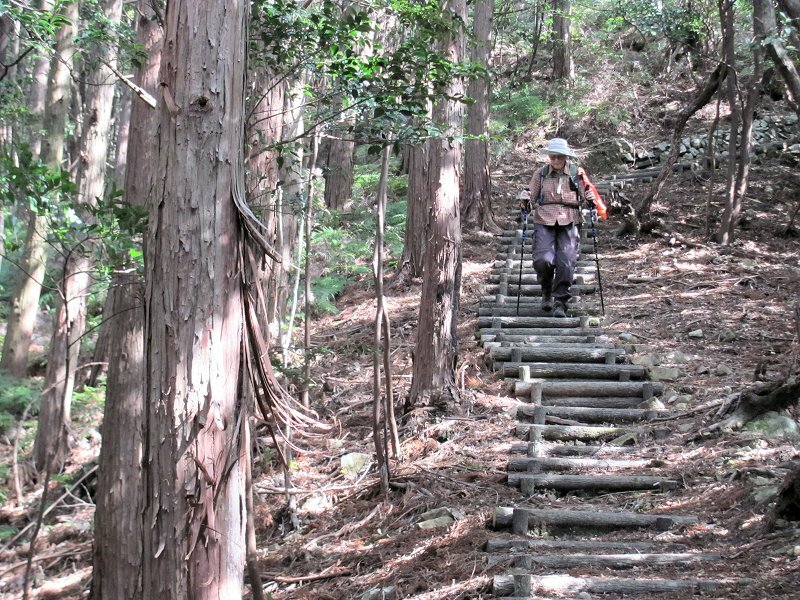 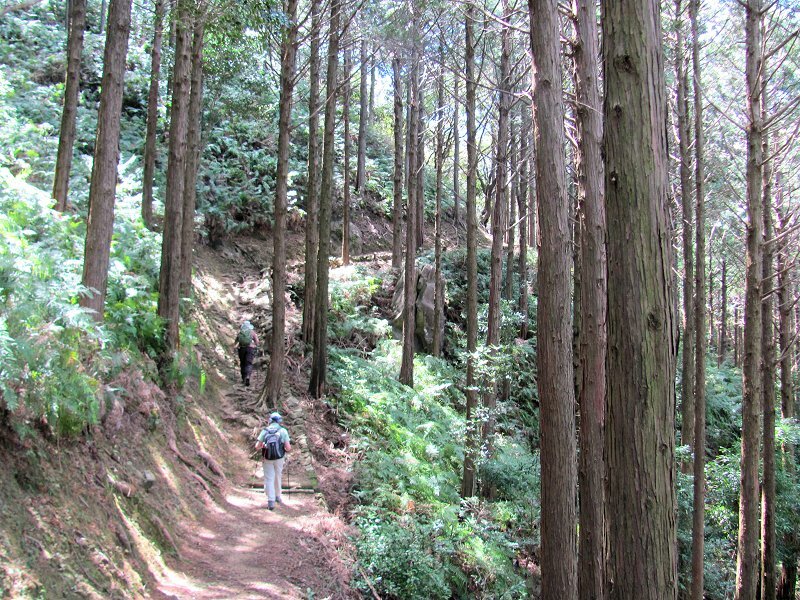 The trail passed through a stand of Japanese cedars (Cryptomeria sp). Rock formations off the Shikoku coast. 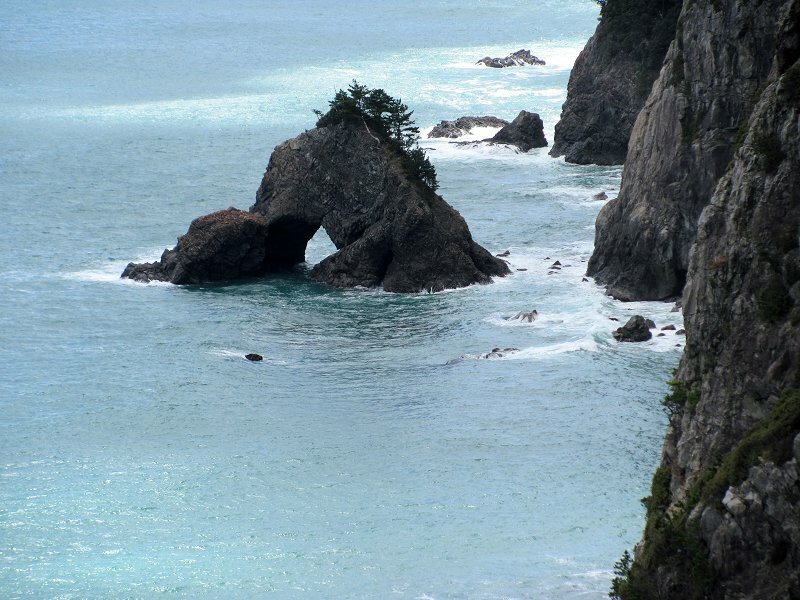 This is the rock called Tori Iwa (通り岩) at the foot of the Senba sea cliffs (千羽海崖). Group photo at our lunch stop at the Tori Iwa viewpoint. 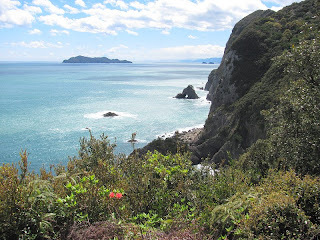 Splendid view down the Shikoku coast. 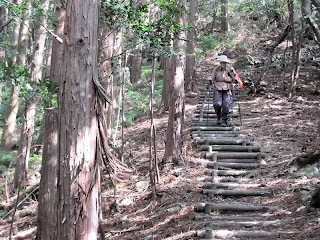 Descending the steps to the Sunline road where our hike ended. 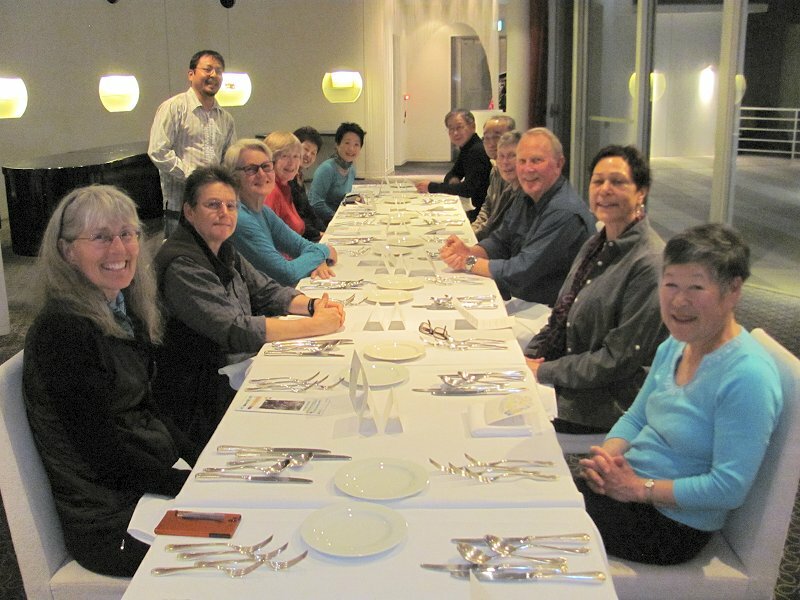 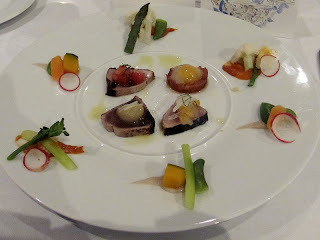 Getting ready for dinner at Utoco Resort and Spa at Cape Muroto (Muroto misaki). First course: Four kinds of lightly roasted bonito garnished with fresh fruits and seasonal vegetables. 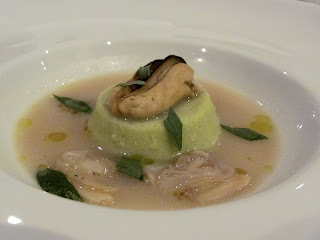 Second course: Broad bean pudding with clams and a cream sauce of blue mussels and short necked clams. 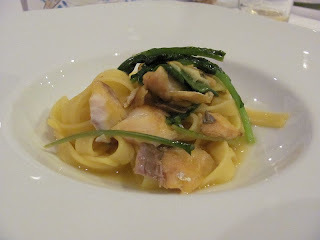 Third course: Tagliatelle with horse mackerel, saffron sauce and arugula. 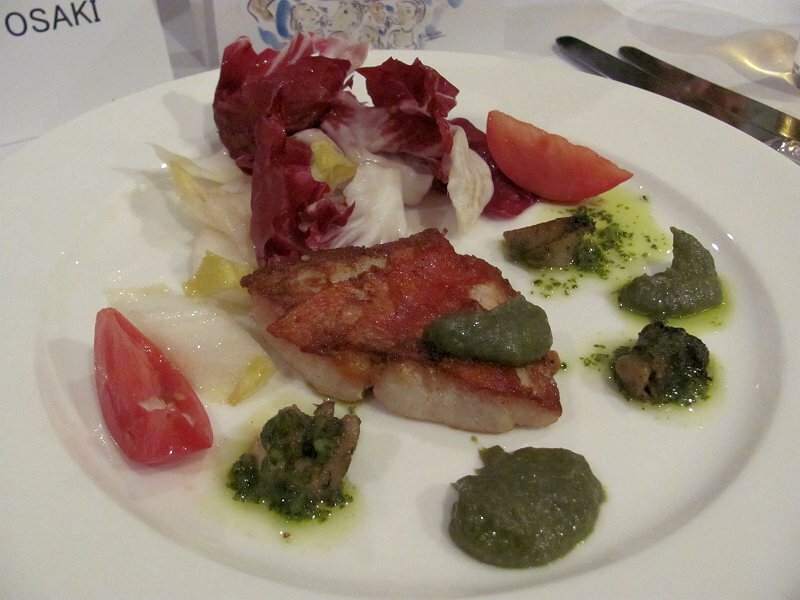 Fourth course: Sauteed abalone and splendid alfonsino (golden-eyed snapper) with butterbur sauce served with radicchio. 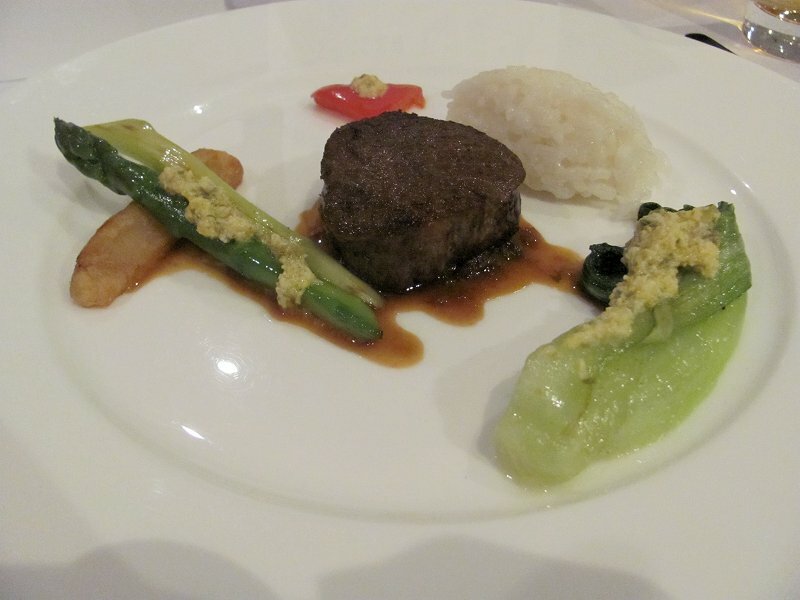 Fifth course: Kochi wagyu beef tenderloin with Marsala wine and caper sauce and vegetables with sauce Gribiche. 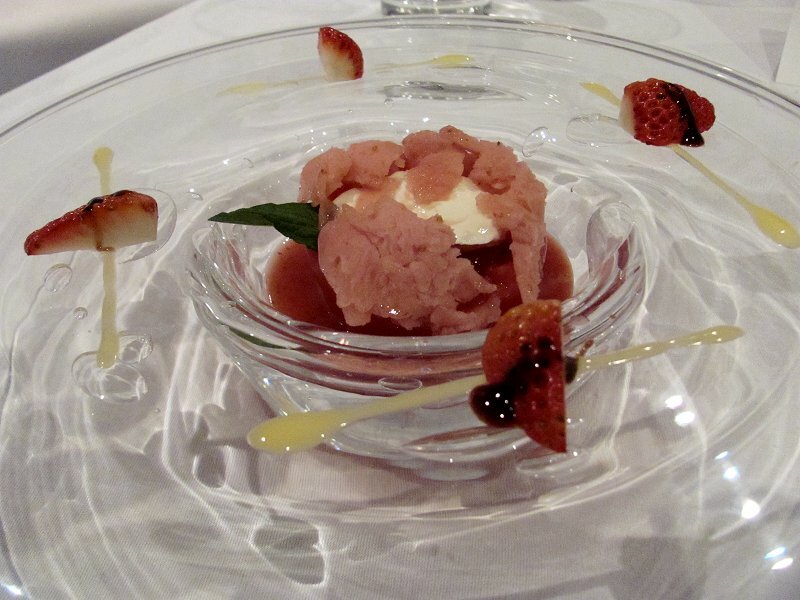 Sixth course: We were served a "primo dolce" of rhubarb and water shield with rose fragrance followed by this dish which was marscapone and strawberry ice cream served in a skinned tomato. Gochisosama deshita!